Pope Francis' 10th foreign trip will be the longest of his pontificate and, with stops in Cuba, three U.S. cities and the United Nations, it also will be a "very complex trip," the papal spokesman said. Briefing reporters about the trip, Jesuit Father Federico Lombardi, Vatican spokesman, said the plans were "enriched" after Pope Francis agreed to go to the World Meeting of Families in Philadelphia and, particularly, after the United States and Cuba announced they were moving toward normalizing diplomatic relations. The pope will be away from the Vatican Sept. 19-28 and is scheduled to give 26 formal speeches -- only four of them entirely in English, Father Lombardi said. The all-English texts are prepared for Pope Francis' visit to the White House Sept. 23, his address to a joint meeting of Congress Sept. 24, his meeting with U.N. staff members Sept. 25 and his thank you to trip organizers in Philadelphia Sept. 27. -- Pope Francis has never been to Cuba, except for a one-hour, unscheduled stopover on a flight from Mexico City to Buenos Aires. "He did not leave the airport," the spokesman said. -- Pope Francis and Fidel Castro both have expressed an interest in meeting each other, but the date and time not been finalized. Pope Francis will be in Havana, Cuba's capital, from the evening of Sept. 19 until early morning Sept. 21. 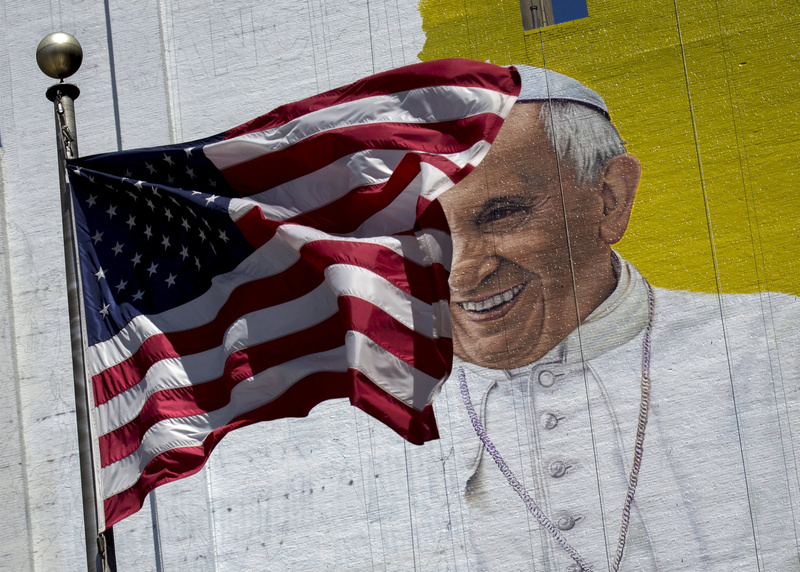 -- The pope is scheduled to meet the president of the U.N. Security Council when he visits Sept. 25. Russia currently holds the presidency, Father Lombardi said. If Russian President Vladimir Putin were in town, he would represent his country at the meeting, but Putin is not scheduled to be there, so the pope will meet the Russian ambassador to the United Nations. -- The Vatican, Father Lombardi said, has never announced in advance a papal meeting with survivors of clerical sexual abuse. If such a meeting takes place in the United States, the Vatican will inform the media afterward, he said. When pushed on the likelihood of such a meeting, he said, "You can't exclude anything with this pope." -- Pope Francis will canonize the 17th-century Franciscan missionary Blessed Junipero Serra in Washington Sept. 23. Asked if the pope knew of the controversy surrounding Blessed Serra and his treatment of the native peoples of California, Father Lombardi said the pope is very familiar with debates over "evangelization and colonization," debates which are similar in areas settled by the Spanish. However, the spokesman said, there is "great consensus" about Blessed Serra's importance as a missionary and in the history of California. The pope has made it a custom on foreign trips to invite into his entourage a lay Vatican employee -- besides members of his security, the leaders of the Swiss Guard and employees of the Vatican newspaper, radio and television center. This time, Father Lombardi said, the pope invited Valentina Ambrosi, an artist from the Vatican mosaic studio. The Vatican secretary of state, currently Cardinal Pietro Parolin, usually accompanies a pope on foreign trips. Because of the "foreign policy importance" of the visits to Cuba, the United States and United Nations, the spokesman said, the pope also has asked Archbishop Paul R. Gallagher, Vatican foreign minister, into the entourage.